Since ancient Greek times, the Olympics have been a unifying, nationalistic force, helping celebrate some of the best and brightest athletes from across the globe. With the Winter 2018 Olympics right around the corner, it’s important to remember that with great games come great, procurement-related costs. For instance – DID YOU KNOW – that to submit a bid to the Olympics’ RFx process, it costs millions of dollars? Frequently, cities spend between $50 to $100 million on consultants, travel accommodations, planning, organizing, and more to ensure the strongest possible bid in the RFx process. For example, Tokyo recently spent $150 million on its 2016 Olympics bid, while it put forth $75 million for its 2020 bid. 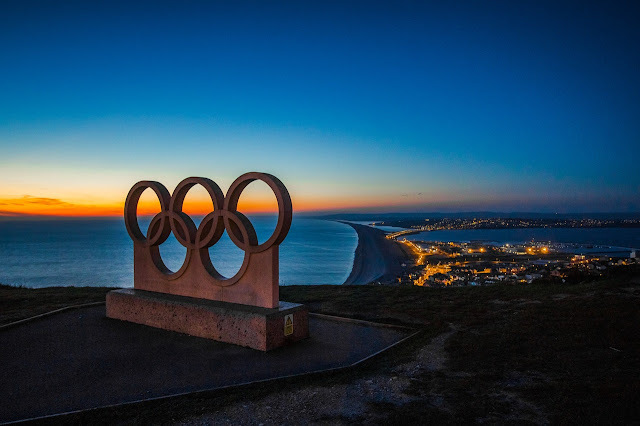 Although it currently costs millions of dollars to simply submit a bid, the IOC[CB1] is reshaping its process to enable greater inclusion of other cities for the RFx process, according to the 2024 Olympic Games Framework guide. Besides bidding – DID YOU KNOW – infrastructure costs for the Olympics range from $5 billion to $50 billion dollars? After a city wins the bidding process, the city must undergo extensive construction of the Olympic village to house athletes; provide lodging options for guests; and create other infrastructure like rail ways and airports, to accommodate the influx of people and augment the experience. Invariably, these costs include host cities procuring materials necessary to build new systems, negotiating with contractors who can complete the work, and often utilizing options such as outsourcing or offshoring projects that can be brought in at a later stage. Furthermore – DID YOU KNOW – cities hosting the Olympics can experience short-term positive gains? Olympic-hosting cities generate thousands of temporary jobs, stimulating short-term economic growth, while improving city infrastructure for future use. The Olympic Games Beijing, for instance, invested $22.5 billion in roads, airports, and railways, and $11.25 billion into cleaning up the environment, in turn generating stronger systems for city-dwellers to use. Moreover, the Games’ attraction of thousands of spectators, athletes, media and sponsors six months before and after the games, helps derive additional revenue. Thus, game-hosting cities utilize strong brand management to ensure positive returns on their investments. However – DID YOU KNOW – cities hosting the Olympics can experience long-term negative gains? While hosting the Olympics can provide positives, it also has drawbacks. Fundamentally, Olympics costs often outweigh Olympics revenue. For example, London earned $5.2 billion against an $18 billion budget; Vancouver earned $2.8 billion against a $7.6 billion budget; and so on and so forth. Los Angeles is the only city to accumulate true profit from the games, as most of its infrastructure existed pre-games. Thus, to reduce costs, cities will need to assess and manage their spend such as through spend analysis services, while conducting benchmarking and accumulating market intelligence to ascertain cost-efficient options for infrastructure development. The bottom-line: The Olympics maintains just as many procurement-related costs as it maintains incredible athletes; to circumvent debt and accrue long-term benefits, host cities will need to conduct themselves strategically.